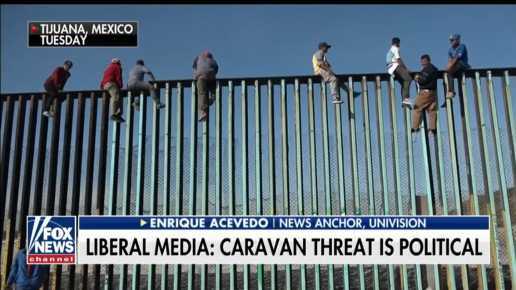 (Joshua Paladino, Liberty Headlines) As many in the media and the Democratic Party call the situation at the U.S.-Mexico border a “manufactured crisis,” U.S. Border Patrol agents at the Rio Grande Valley continue to arrest about 1,000 illegal aliens per day. On Feb. 27, RGV Border Patrol agents arrested 1,300 illegal aliens—the second time in two weeks that they have hit this astronomical mark, according to a U.S. Customs and Border Protection press release. At this rate, Border Patrol agents in one year, in one small section of the entire border, will have to arrest more than the population of Richmond, Virginia—240,000 people. Plus, it will not end this year. The siege will continue indefinitely, as it has for decades. Arrests near the Rio Grande Valley account for about 50 percent of all those conducted at the border. On Sunday, Senate Democrats with help from some Republicans appeared to have enough votes to block President Donald Trump’s national emergency declaration. Last week, Trump urged Republicans to stay united in support of border security. Top Democrats, including Senate Minority Leader Chuck Schumer, D-New York, have used the “manufactured crisis” line of argument. Trump described this tactic as a “sound bite” that does not reflect the facts.